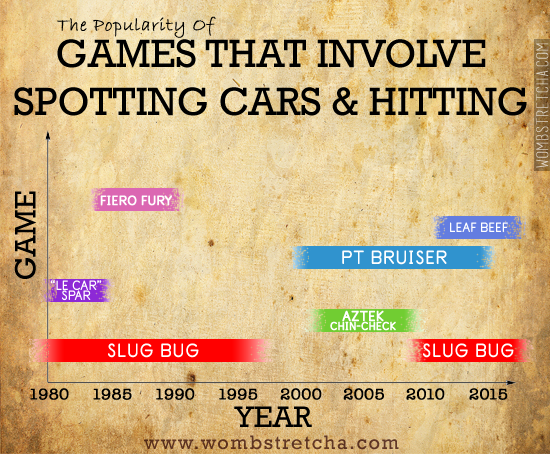 A timeline of the various games played in cars which involve both perception and violence. So many siblings' arms, damaged. Anyhow, here's the chart. Seems "Slug Bug" is eternal.